The Architectural Review Board’s knowledgeable and helpful staff are here to guide you through every step of your ARB process. Their extensive education and impressive experience speak volumes of the quality guidance you’ll receive along the way. Sara Senst, AIA is the ARB Director. She holds a Bachelor of Architecture degree from University of North Carolina at Charlotte and studied abroad in Denmark. 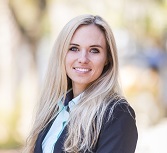 She has experience in master planning as well as residential and commercial architecture, holding architectural licenses in South Carolina and Connecticut, and has worked on a variety of projects throughout the Low Country. Prior to her move to Charleston in 2016, she was the Interim Director of Planning and Design at Fairfield University and designed and managed award-winning projects around the country with the architectural firm Shope Reno Wharton Associates. 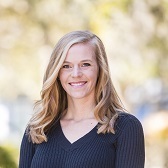 Sara currently practices residential architecture around the greater Charleston area. Jennifer Hayes is the Landscape Coordinator for the ARB. She has a Landscape Architecture degree from the University of California as well as a Bachelor of Arts degree in International Affairs from The George Washington University. Her professional experience includes site planning,landscape design, and horticulture, as well as international program management and human resources. Jennifer is an active member of the SC Native Plant Society and a Board Member for The Sustainability Institute. Laura Philpott is the Compliance Coordinator for the ARB. She has a Bachelor of Science in Communication from Kennesaw State University and has administrative experience with road and bridge construction in Atlanta, Georgia. Laura enforces the standards and guidelines for properties on the island in an effort to preserve and strengthen the natural beauty of Kiawah. 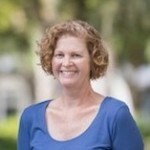 Laura also serves as ARB’s liaison to the Kiawah Island Community Association. 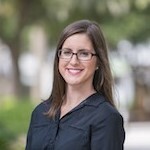 Daphne Wertz is the ARB Office Coordinator. She has a bachelor’s degree in Environmental Studies with a concentration in Environment, Society and Sustainability from the University of Delaware, as well as a minor in Journalism. 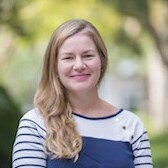 In addition to administrative duties for the ARB, Daphne helps to preserve Kiawah’s environmentally sensitive design by handling guideline questions, providing feedback, and assisting with the processing of permits and submittals. Amanda Mole, AIA is the current Chair for the Board. She holds Bachelor of Science and Masters of Architecture degrees from Georgia Tech with study abroad in Paris. She has experience in commercial and residential architecture, holding architectural licenses in South Carolina, Georgia, and Tennessee. Prior to coming to Kiawah in 1999, she designed and managed projects for architectural and interior design firms in Atlanta, with focus on private club design. Amanda also oversees the Cassique, Terrapin Island, and Freshfields Village Architectural Review Boards for Kiawah Partners. She currently practices architecture in the Low Country beyond Kiawah and consults with several residential design review boards. Howard Pharr is the property owner representative on the Board. As liaison to the community, he represents home, cottage and villa owner interests. Howard and his wife have had a home on Kiawah since 2005. He attended Georgia Tech with studies abroad in Italy and graduated with a Bachelor of Architecture degree, practicing architecture and interior design for 42 years before retiring in 2012. Specializing in hospitality design for 32 of those years, Howard was the President and Managing Partner of the world’s largest hospitality design firm, Hirsch Bedner Associates, creating the interior design for projects in 50+ countries around the world, including the Sanctuary and Ocean Course Clubhouse on Kiawah. 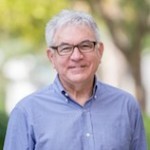 Howard is licensed to practice architecture in Georgia, Florida and South Carolina. 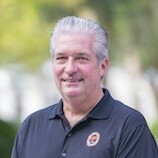 Mark Permar served as vice president of planning and design for the Kiawah Island Company, the original developers for Kiawah. As such, he was involved in all aspects of planning for Kiawah’s development dating back to 1979, and he has remained as a consultant since KRA’s purchase of the Island in 1988. In addition to his consulting work for KRA and other Coastal communities, Permar advises the Chautauqua Institution in upstate New York on architecture and long-range planning. He holds a degree in architecture from the University of Cincinnati and is licensed to practice architecture in the state of Georgia. Ed Monahan is the KICA representative on the Board. Ed’s family has had a home on Kiawah since 1996. He attended American University in Washington, D.C. Before moving to South Carolina and working for the Kiawah Island Community Association, Ed worked on Wall Street for a Member Firm securities corporation on the Trading Floor of the New York Stock Exchange. Ed began his KICA career in 2007. Within that time, Ed has served on the KICA Safety Committee and the KICA Pride of the Community Committee. He is currently the Director of the KICA Livability Department. This department combines three entities, Covenant Compliance, Safety, and Encroachment. The KICA Livability Department permits and monitors all contracted work performed on Kiawah by contractors, utility companies, and property owners. In this capacity, the KICA Livability Department works closely with the ARB with regards to enforcement of KICA and Kiawah Partners ARB guidelines. Jane Maybank is a partner in the architecture firm of MG Architects, LLC; a practice with an emphasis on respect for environmental and cultural context in working with private and professional clients on mixed-use, commercial, residential and educational projects. In recent years her work has focused on architectural and land-use strategies to address the unique goals of non-profit, institutional and heritage property clients. She earned a Master of Architecture degree from the University of Virginia with study abroad in Italy; and a Bachelor of Liberal Arts degree from Sarah Lawrence College in Bronxville, New York with study at Rhode Island School of Design, Parsons School of Design, and Harvard University. She was awarded a merit scholarship to the Master of Architecture program at the Massachusetts Institute of Technology and has published articles on architecture and design related subjects in Legends, Metropolis Magazine and other publications. She has worked on projects in the United States, Europe, and Japan and has been in private practice in Charleston since 2001. She currently serves on the Board of the Charleston Academy of Music. Charlie Arrington is a licensed Landscape Architect who oversees the land planning for Kiawah’s new neighborhoods and amenities. He has worked in golf-course design for over two decades, and serves as Kiawah Partner’s in-house golf course architect. He worked with Tom Fazio on The River Course, Tom Watson on Cassique, and with Greg Norman on Doonbeg Golf Club. He also directed the site landscaping team for The Ocean Course. Over the course of his landscape design career, he has developed recreational facilities as diverse as public parks to large-scale equestrian centers. Amanda Mole, AIA is the current Chair for the Board. She holds Bachelor of Science and Masters of Architecture degrees from Georgia Tech with study abroad in Paris. She has experience in commercial and residential architecture, holding architectural licenses in South Carolina, Georgia, and Tennessee. Prior to coming to Kiawah in 1999, she designed and managed projects for architectural and interior design firms in Atlanta, with focus on private club design. Amanda also oversees the Kiawah, Terrapin Island, and Freshfields Village Architectural Review Boards for Kiawah Partners. She currently practices architecture in the Low Country beyond Kiawah and consults with several residential design review boards. Glenn Keyes has been in private practice in Charleston since 1986. His firm specializes in the preservation of historic buildings and the design of new buildings within an historic context. He holds a Bachelor of Architecture degree from the University of Tennessee and a Masters of Architecture specializing in Historic Preservation from the University of Florida. Glenn served as the Preservation Architect for the restoration of the historic Vanderhorst Mansion on Kiawah Island. Karen and her husband Dee moved from Atlanta, GA to Cassique full time in 2016 at which time Karen retired from the IT consulting industry as a sales executive. She was born and raised in the San Francisco Bay Area where she obtained her undergraduate degree in Finance at the University of San Francisco, and later her MBA in Finance/Economics at the University of Florida. Bernie Fulk serves a s a property owner representative on the Board. He is responsible for upholding the design guidelines established by the ARB, the covenants, and the by-laws. He is also a conduit between the ARB and Cassique Homeowners. During a 35-year career in the institutional investment research business he maintained an avid interest in residential real estate. He worked for a development company building multi-family units while in college and more recently acted as the general contractor for the construction of his last residence in the Washington D.C. area. He is now affiliated with a custom home building firm in Charleston. Bernie and his wife Marcia moved into Cassique in 2005 becoming the first fulltime residents. He has a B.S. in Finance and an MBA from American University.